¡Murales Rebeldes! looks at how Chicana/o murals in the greater Los Angeles area have been contested, challenged, censored, and even destroyed. 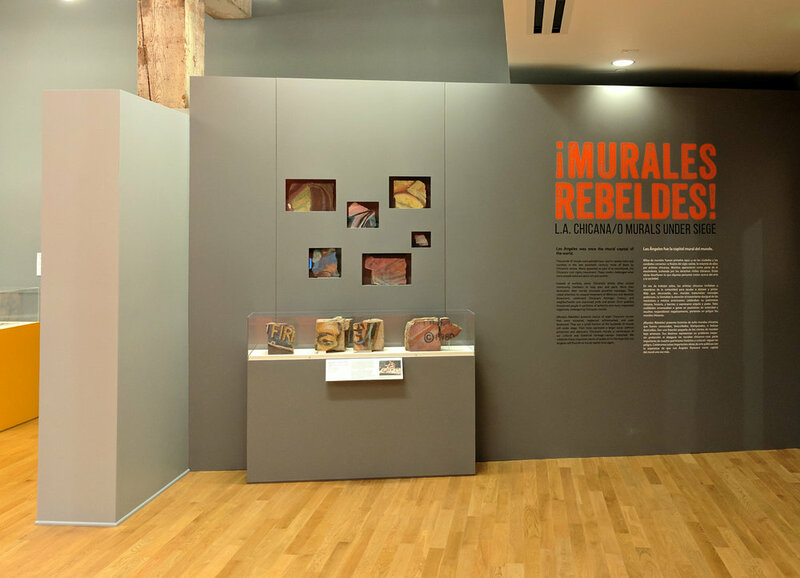 Through telling the stories of eight murals, the exhibition documented controversy and loss while celebrating artistic and historical contributions. Gallery colors were drawn from the companion publication and from the murals themselves. Not much survives of the many murals that were lost so the few mural fragments that do remain were displayed prominently at the entrance to the exhibition. 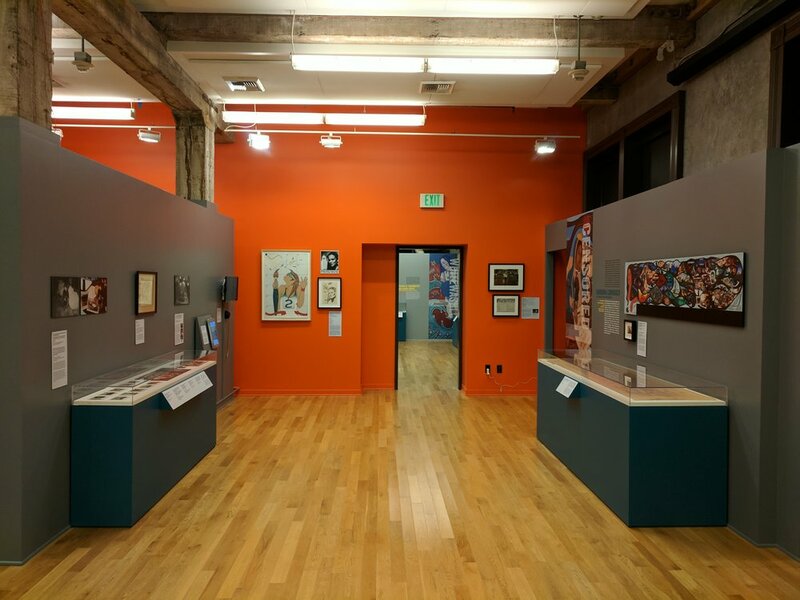 As part of the Getty's PST LA/LA initiative, the exhibition and public outreach warranted a large amount of promotional material, including street banners, rack cards, mural legends, maps, and walking tours.